Safe When New. Safe When Worn. Even when half-worn, it's still safe, thanks to EverGrip wet-braking technology. Shorter Stopping. Excellent Wet Grip and Lasting Winter Performance. Enjoy a Quiet, Comfortable Ride. 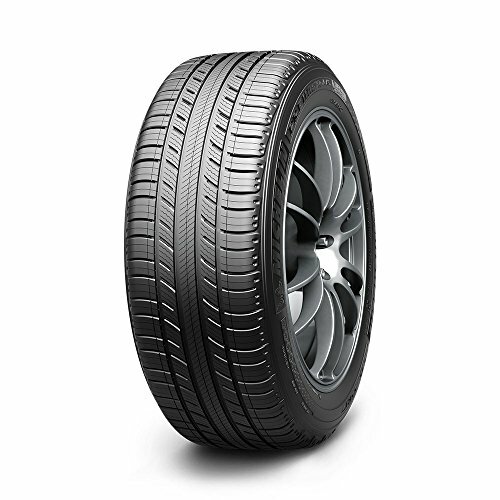 With EverGrip Technology, extreme amounts of silica in tread compound provides exceptional wet grip for everyday handling, plus expanding rain grooves widen and emerging grooves open as the tire wears to maintain traction. Sunflower Oil keeps the EverGrip Compound flexible in lower temperatures along with many tread blocks and sipes that act as biting edges to cut through the snow. MICHELIN Comfort Control Technology uses computer-optimized design and precision manufacturing to reduce vibrations and road noise.